Getting ready for December holidays? Get set to celebrate the two mega festivals, Christmas and New Year in the amazing place called New York. 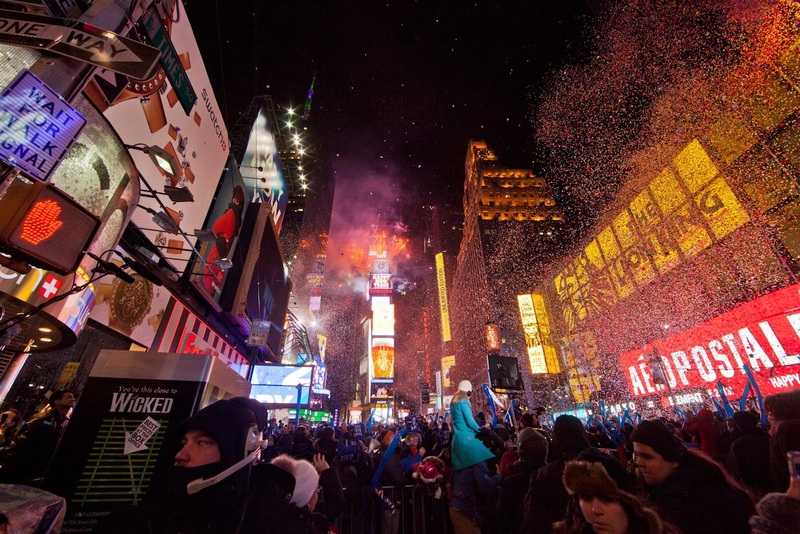 New York holds a special appeal for celebrating New Year with your friends and loved ones. Be it the Times Square or the Central Park; there is no place better to be a part of the New Year spirit than the good old NYC. If you plan to tour on a budget, enjoy the luxuries of flying with carriers like United Airlines, and still enjoy the bedazzling lights and camaraderie, then this post is just apt for you. Here we have listed the best destinations to enjoy in New York and that too on a shoestring budget. 1 – Staten Island Ferry- Though a lot of flak has been generated by the scammers against the Staten Island Ferry, the fact remains that the boat ride is still available for free. The ferry lets you capture the beautiful view of Manhattan, Ellis Island, and the Statue of Liberty. Another ferry that gives you the beautiful views of Wall Street, Red Hook and Brooklyn is Ikea Ferry. This ferry is available for free on weekends, but they charge $5 on weekdays. There is a host of other ferries available that let you explore this place. 2 – Budget restaurants– What is a better way of celebrating New Year than eating the food of your choice. Well, there are various party getaways in New York that are as expensive as the city’s popular skyscraper buildings. But there are several destinations that offer you classic dining experience on a budget. The restaurants like Waverly Restaurant in Greenwich Village and Smorgasburg in Brooklyn Bridge Park are popular for open-air food stalls; they offer the tourists budget dining experience. If you are a pizza aficionado, Gruppo in Alphabet City is a great option. If visiting a pub is in your catalogue, we recommend Peter McManus Cafein Chelsea. It is an Irish Pub that offers you the choicest of drinks along with friendly staff. 3 – Get a roof over your head– Roof-top restaurant is a perfect place to spend some moments with your family, friends, relatives or spouse. These restaurants will freeze the moment in a snap. The observation decks of the Rockefeller, Empire State Building, and World Trade Center will cost you a few cents to capture the splendid views. Another option is to go to a roof-top bar and enjoy the festivity to the core. The best in town roof-top hotel is the Standard Hotel with an amazing bar on the top and Hudson River in the backdrop. 4 – Central Park– There are several parks in New York that compel you to elaborate its beauty, and one among them is Central Park. It is spread across 840 acres and has loads of entertainment options like a boating lake, sports field, zoo, and much more. Brooklyn Botanical Garden is a reservoir of greenery and beautiful cherry trees. These destinations are exotic and attract people from different age group to have fun and adventure. Book your air tickets fast to make the most of your NYC trip and welcome a memorable New Year in 2018 here.